The spread of the Zika virus in Latin America is giving a boost to a British biotech firm's proposal to deploy a genetically modified mosquito to try to stop transmission of the disease. MIAMI (AP) — The spread of the Zika virus in Latin America is giving a boost to a British biotech firm's proposal to deploy a genetically modified mosquito to try to stop transmission of the disease. Oxitec has genetically modified the Aedes aegypti mosquito, which also transmits dengue and chikungunya, so the males produce offspring that do not live. But until now, its proposal to test the mosquito in the Florida Keys has languished at the Food and Drug Administration while the company conducted similar field trials outside the United States. "The data seems to be promising in terms of reducing the mosquito populations in those small field trials, but we need to go through our process, and we are greatly expediting the process," FDA Assistant Commissioner Dr. Luciana Borio said earlier this month at a House Energy and Commerce subcommittee hearing on Zika preparedness. Here are some things to know about genetically modified mosquitoes. Oxitec modifies Aedes aegypti mosquitoes with synthetic DNA to produce offspring that won't survive outside a lab. Modified females are manually separated in the lab from the modified males, which do not bite and are released to mate with wild female mosquitoes. Oxitec says it has completed successful tests in Panama and the Cayman Islands, along with a test as part of a dengue-fighting program in Piracicaba, Brazil. The city's health department has confirmed Oxitec's results: a reduction in the wild Aedes larvae population in the targeted neighborhood by over 80 percent. Some experts have questioned whether the use of genetically modified mosquitoes is feasible on a countrywide scale or is efficient for controlling mosquito populations and the spread of diseases over the long term. Dr. Anthony Fauci, director of the National Institute of Allergy and Infectious Diseases, told the March congressional hearing that researchers would have to show that a reduction in the mosquito population led to a decline in disease. "Scalability is really going to be a problem," he said." You don't want to scale up unless you know it works." Tom Frieden, director of the Centers for Disease Control and Prevention, said Thursday that tests of the genetically modified mosquitoes have only been done in small areas involving the release of tens of millions of mosquitoes. "So while they're promising technologies that we absolutely need to pursue, I think we also have to be realistic about what the impact in this mosquito season is likely to be," he said. World Health Organization's Marie-Paule Kieny has called for "extreme rigor" in evaluating the effectiveness of modified mosquitoes. Oxitec says it has received no reports of adverse impacts from its modified mosquitoes. Anti-GMO activists say they want more proof that stray female modified mosquitoes that leave Oxitec labs aren't spreading genetic material through bites or that there are no other environmental risks, such as opening areas to infestation by another disease-carrying mosquito species. Outside researchers say Oxitec's method is safe and worth exploring as a weapon against a hard-to-eliminate mosquito, but some also say public perceptions about GMOs pose a significant challenge for Oxitec, which was bought last year by the biotechnology company Intrexon. In a preliminary finding, the FDA's Center for Veterinary Medicine said Friday that the release of genetically modified mosquitoes as part of a field trial in the Florida Keys would not be harmful to people or the environment. "Based on the data and information submitted in the draft (environmental assessment), other submissions from the sponsor, and scientific literature, FDA found that the probability of adverse impacts on human or other animal health is negligible or low," the finding said. Before the trial started in Brazil last April, Oxitec spent months on public outreach, including a radio jingle explaining how the technology worked and fliers about the "friendly mosquito." 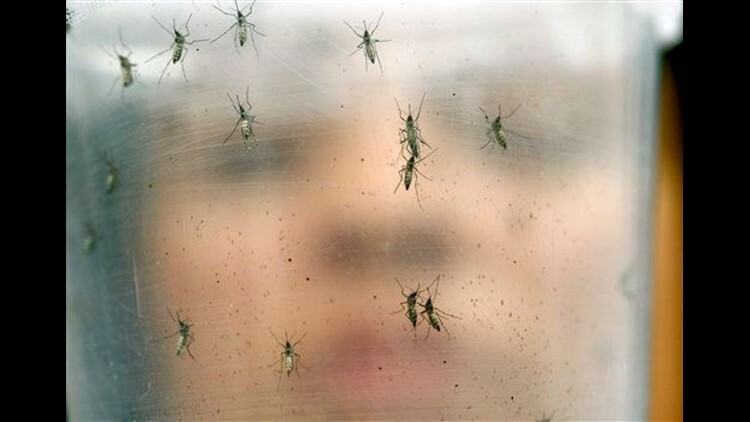 Oxitec also invited residents to place their bare arms in "bug dorms" containing hundreds of its modified mosquitoes, to demonstrate that the insects would not bite. Piracicaba's mayor and health secretary say they hope to continue and expand the trial because traditional eradication methods hadn't been effective. "We were aware of its application in agriculture, and we have no doubts that it would be an important alternative to tackle what has become a daily headline story in the media," Mayor Gabriel Ferrato said when the trial results were announced in January. The Florida Keys Mosquito Control District wants Oxitec to test its modified mosquitoes in a neighborhood of 444 homes clustered on a relatively isolated peninsula north of Key West. With or without the test, the district is looking for additional options to kill Aedes aegypti, which it considers a significant and expensive threat in the tourism-dependent island chain. In a statement Friday, executive director Michael Doyle said the district is looking at several different eradication technologies, but those other methods take years to develop, and Oxitec is furthest along. A residents' group called the Florida Keys Environmental Coalition wants the district to instead try infecting mosquitoes with a bacteria that curbs their ability to transmit disease, arguing that Oxitec's proposal is mostly marketing hype and won't be subject to adequate federal oversight. WHEN WILL THEY BE RELEASED IN FLORIDA? Not anytime soon. The FDA still needs to review public comments on Oxitec's proposal and may require more documentation from the company before deciding whether to approve the trial — and there is no deadline for this process. The draft environmental assessment will be available for public comment for 30 days, beginning Monday. "We need to give the public an opportunity to comment on the environmental assessment, given the significant attention that this novel technology has generated, especially in the communities for the proposed sites," Borio said. HAVE GENETICALLY MODIFIED INSECTS EVER BEEN RELEASED IN THE U.S.? Yes. Oxitec has released genetically modified pink bollworms in field tests aimed at reducing the population of the cotton pest in Arizona. Last summer, the company received approval for field cage trials in upstate New York for genetically modified diamondback moths, another agricultural pest, and Oxitec plans to continue further field trials in conjunction with Cornell University this summer. The U.S. Department of Agriculture has overseen both projects. Associated Press writer Bruce Douglas in Rio de Janeiro contributed to this report.